Normally, I wear one activity tracker on each wrist and I may have one around my ankle. I also clip one or two on my waist (but sometimes I forget to transfer them from my street clothes to my workout clothes and vice versa) so they're not always capturing my daily activity. 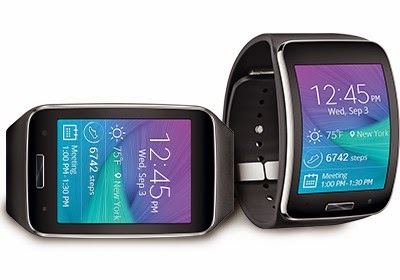 The Samsung Gear S is a smartwatch that also has a built-in cellular radio so you can use it as a phone. It has a built-in GPS, optical heart rate monitor, and accelerometer that provides running pace/distance when you're on a treadmill via the Nike+ running app. Samsung S Health provides pedometer tracking and other exercise stats. The Gear S needs to be paired with a Samsung Galaxy smartphone. 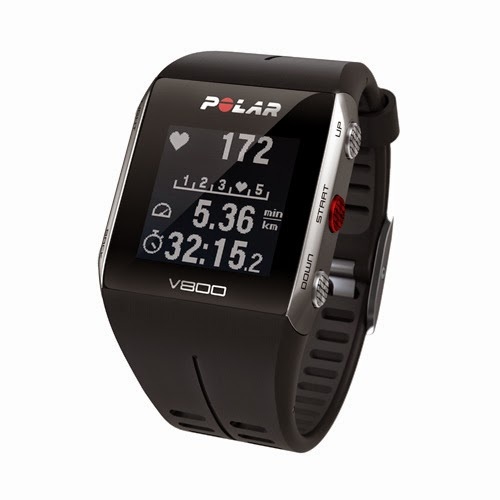 The Polar V800 is a waterproof GPS fitness watch and activity tracker. 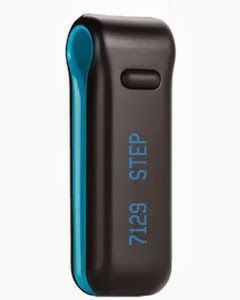 It connects with my iPhone using Bluetooth, so I'm also able to pair it with a heart rate monitor and running cadence stride sensor when I'm exercising. This triathlete watch also provides swimming metrics and syncs with the Polar Flow mobile app. The Jawbone UP24 is a simple wrist-based activity + sleep tracker and it provides interesting sleep metrics if you wear it while you sleep. The UP24 syncs using Bluetooth, so I can track my activity data easily on my iPhone using the UP mobile app. I've been "Living UP" since Feb, 2014. Since 2013, my daily activity tracker had been the Misfit Shine (until I lost it at the beach in 2014). I like wearing this one because it uses a coin battery that I only need to replace every 4 months. I wear my Shine on a wristband (but I usually have it around my ankle) and I have it on when I'm sleeping, exercising, swimming, etc. The Shine syncs via Bluetooth Smart with my iPhone so that I can evaluate my progress each week. I started using the Polar Loop in the late part of 2013 and then I replaced it with the Polar V800 in 2014. 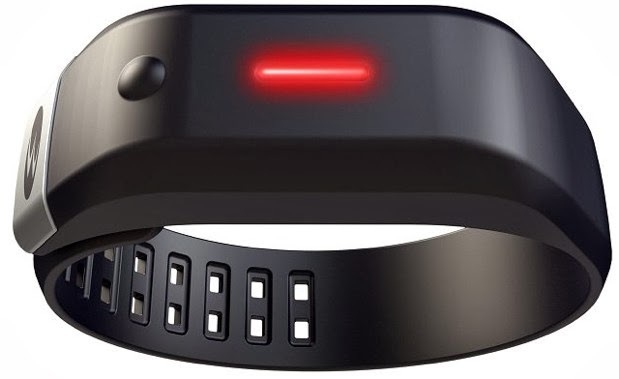 The Loop is a wrist-worn tracker that connects via Bluetooth Smart to a Polar Heart Rate Monitor chest strap and allows me to upload and store my exercise heart rate data online so that I can share it with the global Polar community. The Polar Loop syncs with my iPhone through Bluetooth 4.0 and is waterproof for swimming. 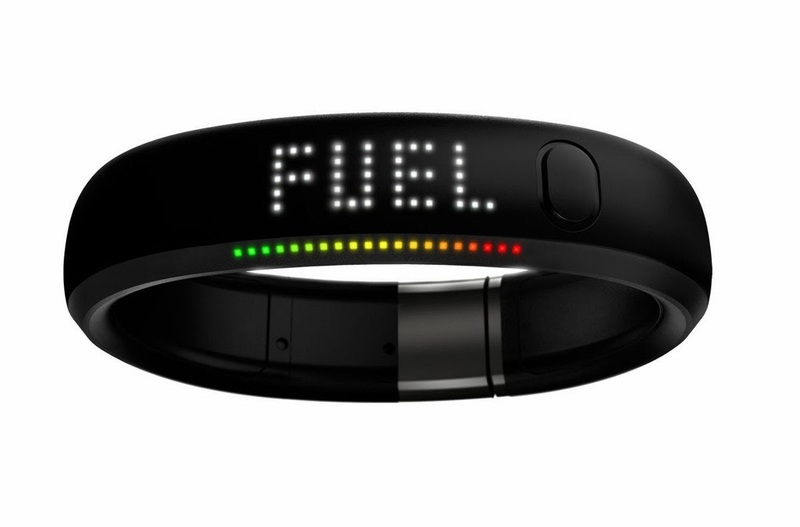 On my other wrist, I used to wear a Nike+ FuelBand until the button stopped working. Unlike the Misfit Shine or the Polar Loop, the FuelBand is not waterproof for swimming, so this comes off when I hit the pool to swim laps. 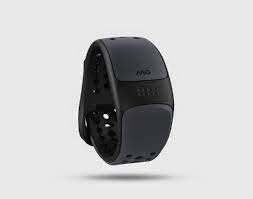 When I'm exercising indoors, I'll monitor my heart rate wearing an optical heart rate monitor called the Mio Link. This device connects via Bluetooth Smart and ANT+ so I link it either with my iPhone or with my Polar V800. When I'm running outside, I track how my running speed correlates with my heart rate. As my fitness level improves, I can run at the same speed with a lower heart rate (lower effort). Your heart rate is a very objective measurement of your exercise intensity. This is why the American College of Sports Medicine recommends a target heart rate of 50% to 85% of your maximum heart rate during exercise. Every morning, I weigh myself on the EatSmart Precision GetFit Digital Body Fat Scale. 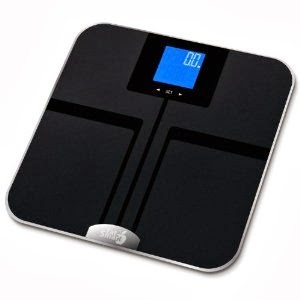 This scale uses BIA (Bio-Electrical Impedance Analysis) technology that measures your body fat. The scale holds up to 8 individual user profiles and displays % body fat, % body muscle, % body water and bone mass. The Boost is a wrist-worn activity tracker that connects via Bluetooth to iOS and Android devices. Read my Bowflex Boost review here. 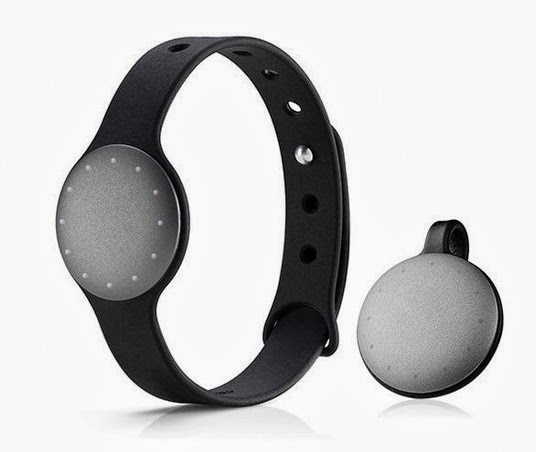 The Fitbug Orb is a round activity tracker that you can wear on a wrist strap or you can clip it to your clothes. It syncs via Bluetooth Smart. Read my review here. I still have my Fitbit Classic from 2011 (here's how I got it). This was their first product and I still wear it occasionally to measure my steps and to compete against my "Fitbit buddies." Given that I've had this gadget for several years, the plastic has some cracks and I don't know how much longer it will last. As long as it works, I'll continue to use it to measure my daily steps. 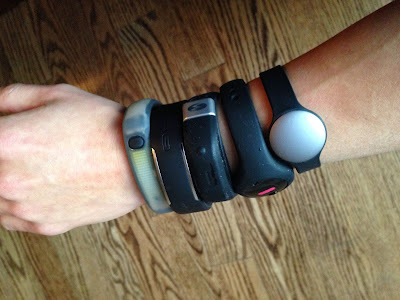 I was an early adopter of the BodyMedia Fit armband, but I did not use this as a daily activity tracker. Some people would walk everywhere with this gadget strapped on their arm. It would be a great conversation starter. 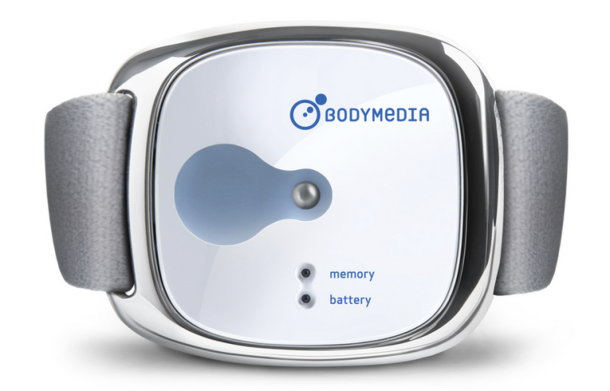 I mainly used the BodyMedia armband during exercise. 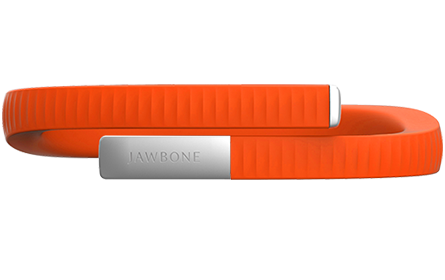 BodyMedia got acquired by Jawbone in 2013. I was one of the early users of the Zeo Sleep Manager headband system. Although I don't use it regularly, the Zeo revealed some important things about my sleep quality. Zeo is no longer in business.